Repeatedly I was asked, if is it possible to get printed ANTENTOP and Books from Antentop Free Library. My answer was -NO, everything atuff from ANTENTOP are FREE, so, if you need hard copy, feel free print these onese. However, not to all readers such way are appeared convenient. Be truth, it is not convenient for me as well. For years I had produced a printed Antentop for myself by myself. 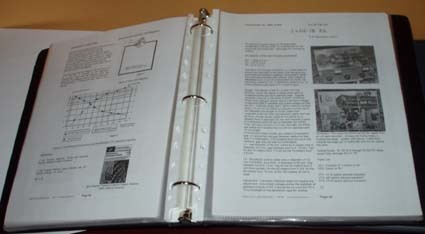 I used to my black and white Laser HP printer to print the pages, then I inserted the pages in 3-Ring Binder Protective Pocket, then put it into a Folder. Be truth, I had not knew any other way like this. Fortunately, one my friend adviced me a good solution. Here is a print-on-demand publishing service at the web, www.lulu.com, where you can print (if you wish) whatever you want. Just upload files on the site and get your files printed and bound like usual book, so, get already ready book! No matter how much copy you need- 1, 100 or 1000 - you will get it. Just pay for printing, binding and p@p.
So I will upload ANTENTOP and books from Antentop Free Library to the site, and if you wish, you will get hardcopy of the items. Have to say, I already have ordered and received some books from www.lulu.com . 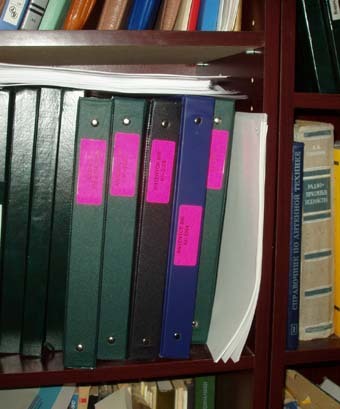 The books were quality printed, good paper, good bound, it is over usual books (of cource, it is only my opinion). It took me (in Canada) near 10 days to receive the ordered books. However, p@p a little bite me, so, to reduce it I 've ordered several books for one order. Okey, no ads for Lulu, everyone can decide if it suit for him/her-self. 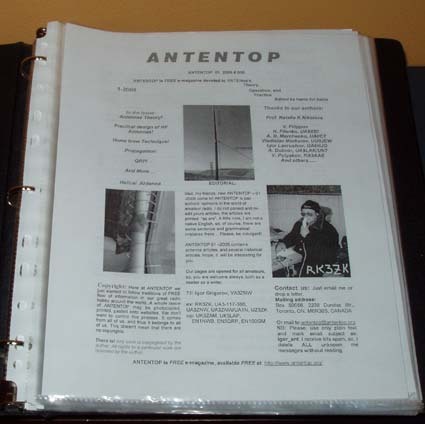 and go to the page with books from ANTENTOP available for print. A little profit from any printed samle goes to AntenTop, so, goes to all hams over the World. go to download and print and bound a hardcopy by themselves.